Supplemental staffing is just that, staffing that supplements normal personnel. Whether there are call outs, vacations, change in staff, or a general need for help, the nurses of Community Care Nursing Services are ready and available! Why is extra help needed? Nursing homes and hospitals are experiencing one of the worst nurse shortages in years. The shortage of nursing personnel has forced facilities to turn patients away and/ or operate with a smaller nursing staff; which raises the workload of the current staff. Community Care Nursing Services, Inc. has helped to ease this burden by providing qualified RNs, LPNs, and CNAs to facilities in need. The number of registered nurses in Maryland has dropped by about 2,300 causing hospitals and nursing homes to pay overtime and higher salaries. In addition, licensed practical nurses and nursing assistants are also becoming scarce. While the number of nursing staff is steadily shrinking the need for nurses in home care and supplemental staffing is increasing. 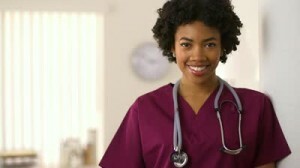 Community Care Nursing Services, Inc. can help. By paying our nurses at a higher wage we are able to attract and retain quality, professional nursing staff.